What do you get if you combine a Japanese poetry style with a well known four string instrument? 5 on the last line. 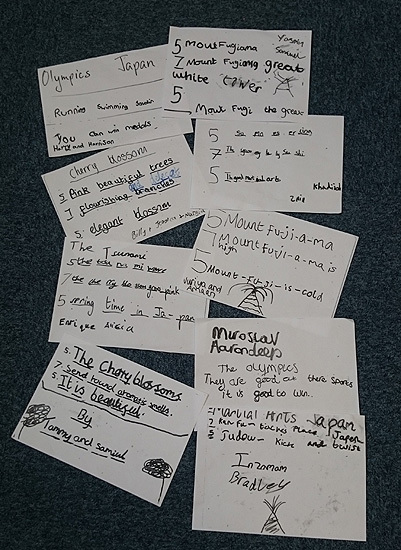 Here are some examples of their poetry based on their topic of Japan. 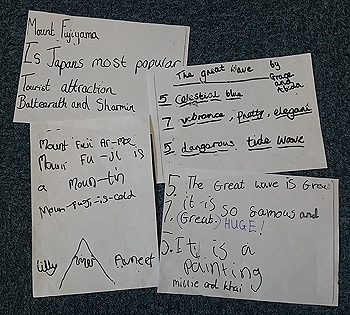 It featured Mount Fujiama, The Olympics and Martial Arts amongst other things! They worked their poems out on whiteboards, which were then photocopied. If you listen carefully you may hear some of the poems featured above? So why not have your own go at some Haikulele compositions? !